London: Air contaminated with pollutants such as ozone and tiny particles could cause the premature death of about 6.6 million people a year by 2050 if nothing is done to improve air quality, scientists warned on Wednesday. “This is an astounding number,” said Jos Lelieveld of the Max Planck Institute for Chemistry in Germany, who led the research. 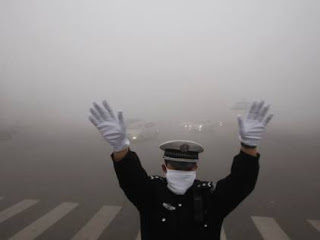 “In some counties air pollution is actually a leading cause of death, and in many countries it is a major issue.” Air pollution deaths are most commonly from heart disease, strokes or a lung disease called chronic obstructive pulmonary disease (COPD). It is also linked to deaths from lung cancer and acute respiratory infections. Their results show that in India and China, for example, emissions from heating and cooking, have the largest death toll, while in much of the US and a few other countries, emissions from traffic and power generation are crucial. Oliver Wild, an atmospheric scientist at Britain’s Lancaster University, said the study “really brings home the need for air quality controls”, particularly in heavily populated parts of Asia.